Rugbytots Franchising - Join Us! Let the success of our business kickstart the success of your business! Make your work more fun! Since Rugbytots began in 2006, we have grown significantly. Over 60,000 children in 18 countries on 7 continents are now part of the Rugbytots family. Key to this growth has been our network of like-minded, determined and passionate franchisees. Here in Ireland, our franchisees and their coaches deliver more than 500 classes per week. The demand for classes keeps rising, which means that the opportunity for new and existing Rugbytots franchisees has never been better! "We are a passionate Rugby family who spend lots of time at our local club. Rugbytots offered a fantastic opportunity to combine our passion for the game with the fun and excitement of working with children. The support and training infrastructure in place is brilliant and we look forward to one of our Irish Rugbytots turning out for Ireland one day!! " "I was looking for an opportunity to run my own business in sport. 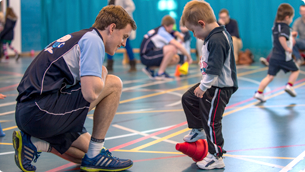 Whilst you need to work hard, the Rugbytots franchise has provided me with an opportunity to do exactly that. We are developing basic core skills at a young age as well as building confidence and setting these young children up for their next challenge. Thanks to head office and the guys who run Ireland we have always felt part of a successful team and the support is invaluable." 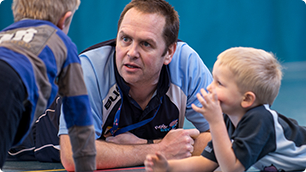 What makes a good Rugbytots franchisee? We look for driven, ambitious people who can tackle their franchise with energy and enthusiasm. Good communication and admin skills are required, as are a love of working with young children and a desire to make your work more enjoyable and rewarding. The cost of a Rugbytots franchise starts at £10K, so you will need have the necessary capital to invest. If you would like to learn more, please register your interest by completing the form at the top of this page. Demand for Rugbytots franchises is high, so it may take up to 10 working days for us to get back to you. Why take a franchise with Rugbytots? We take a family approach to business, and like to build strong, positive relationships with our franchisees. Our Head Office team provides franchisees with a level of support that we're told is unrivalled in our industry. We welcome franchisees' ideas, insights and feedback, and use them to shape the development of the company. We continually invest in our systems and IT. For example, our bespoke centrally managed booking system and customer-management database is now fully automated to ensure franchisees are able to minimise admin time and focus on growing their business. We provide detailed training and all of the kit and equipment necessary to run our classes. We also give franchisees access to an extensive range of personalised marketing materials. In the 2014 Best Franchise Awards sponsored by RBS, Rugbytots were given a 5 Star Franchisee Satisfaction Award. In the words of the organisers, this impressive accolade "was given to an elite group of franchisors who were rated as 'above average' by their franchisees across every key area that the benchmarking programme measures, such as training and support for franchisees and the quality of their relationships."